A cat's genome has finally been sequenced, and there's a reason our domesticated furry pals like treats so much. Cats are relative newcomers to the domesticated human world, sauntering onto the scene 9,000 years ago, some 20,000 years after their canine compatriots. But even in their short time among the "giant, unpredictable apes" (which is how your cat sees you, according to Wired), we've shaped our feline pets from their behavior down to a genetic level. Starting in 2007, an international team of researchers has been working to sequence the cat genome. Recently completed, the scientists published some of their first findings - such as tweaks to reward-seeking behaviors and memory - in the Proceedings of the National Academy of Sciences on Monday. 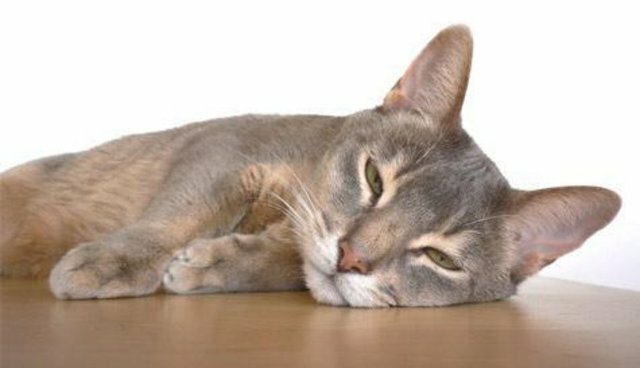 The scientists compared the DNA of an Abyssinian cat named Cinnamon with that of six other house cat breeds, as well as the genes of wildcats, tigers, humans, cows and dogs. Tame cats, as it turns out, express traits that make living alongside humans a little bit easier. Following genetic leads, the biologists believe rewards - like treats - make a bigger impact on the cats who eventually became domesticated. "Humans most likely welcomed cats because they controlled rodents that consumed their grain harvests," said Warren. "We hypothesized that humans would offer cats food as a reward to stick around." Looking at the cat genome also shed light on domestic coat colors and body types - most differences which are only about 200 years old - and the genetic basis of some cat diseases. The results jibe with what other scientists think happened in the feline domestication process. Where researchers voice different opinions is on just how tame our purring friends are - when Warren calls cats "semi-domesticated," Greger Larson, a University of Oxford evolutionary biologist not involved in the study, believes cats have achieved the full thing. "I've got two cats at home," Larson told Science, "and they're as domesticated as any animal on earth."